US Navy Chief Petty Officer Tim Crum, age 31, arrived at his newly-renovated office on the fourth floor of the E Ring of the Pentagon on the morning of September 11, 2001. He emptied the contents of his pockets into his desk drawer in the Navy’s Space, Information Warfare, Command and Control Directorate (OPNAV N6) in preparation for his morning workout at the Pentagon Athletic Center. A black-and-white family photo lay forgotten in the bottom of the drawer. Just before 9 AM, Chief Crum’s routine day became anything but routine when he learned that a plane had flown into the North Tower of the World Trade Center in New York City. As he watched CNN’s live coverage of the event, a second aircraft struck the South Tower. He returned to his desk and sat down thinking he was in “the safest place in the world.” Suddenly Crum was thrown onto the floor by the energy of American Airlines Flight 77 impacting the Pentagon two floors below his office. He saw an enormous orange fireball through windows that overlooked the Pentagon’s helicopter pad as his darkened office filled with smoke. Unable to see because of the thick smoke and dust, and hampered by fallen debris, Chief Crum drew on his familiarity with the Pentagon floor plan to find his way to safety. He followed Corridor 4 to the second deck and to the A ring where he exited to the south parking area. Crum watched as fire engines arrived and first responders began to battle the flames. As Pentagon personnel gathered in the south parking area, he heard persons screaming that another plane was coming. There was palpable fear of another attack. The noise of “helicopters, sirens, and screaming” obscured the sound of the building’s collapse. As Crum walked to another office in Crystal City, he heard, on a parked car’s radio, the news of a plane targeting the US Capitol. More than an hour later, he found his co-workers assembling a list of unaccounted-for personnel. He was finally able to call his wife to let her know he had survived the attack at the Pentagon. Not until Chief Crum watched the media coverage of the Pentagon attack did he fully realize his proximity to the impact of the hijacked airliner. Weeks later, when the FBI released the site, Chief Crum had the opportunity to view what remained of his Pentagon office. Wearing a Tyvek suit and respirator for protection, he was granted access to the outermost, boarded-up area impacted by the crash which he recognized as the office where he was at work on September 11. Looking over a barrier into the enormous charred cavity, he saw pieces of his office “hanging” in the collapsed portion of the Pentagon - a frightening reminder of how close he was to Flight 77’s impact. Several months after the attack, Chief Crum went to Fort Meyer to view a collection of personal property recovered from the Pentagon. There he identified several personal possessions that had miraculously survived inside his wooden desk in office 4E456: his bent keys and charred wallet, his broken watch and Athletic Center ID, his tarnished and misshapen wedding ring, and the remains of a family photograph. Eerily, the images of Crum’s smiling wife and their tiny daughter were intact, while most of the Chief’s image was torn from the family portrait. A form attached to Crum’s property indicated the owner was “deceased,” an assessment by the Pentagon investigators based on the devastation in the area where the objects were recovered. The mistake brought a smile to Chief Crum’s face. Chief Tim Crum knew at least half of the 42 US Navy personnel killed in the September 11 attack on the Pentagon. Although he tries not to think about his narrow escape from the Pentagon that day, Crum says he will never forget American Airlines Flight 77 and the moment of the attack. In 2014, the Crums, who are natives of Portage in Cambria County, Pennsylvania, generously contributed Chief Crum’s recovered family photograph to Flight 93 National Memorial for inclusion in the permanent exhibit as a reminder of the violence of the attack on the Pentagon. The Crums are parents of two children and make their home in Maryland. Senior Chief Crum retired from the US Navy in 2009 with 20 years of service. 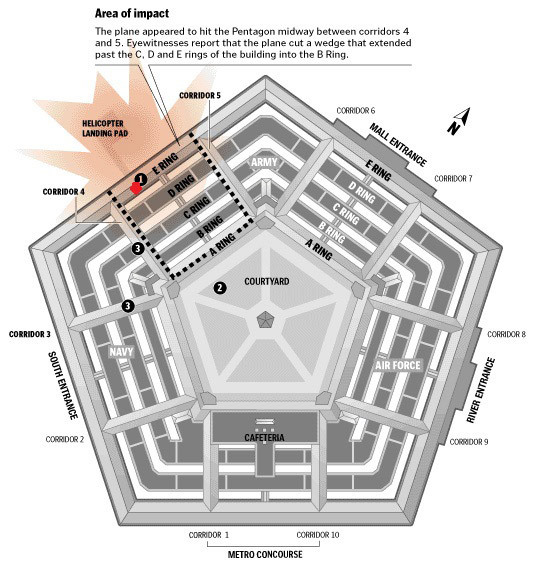 Listen to US Navy Chief Petty Officer Tim Crum describe the effect of the impact of American Airlines Flight 77 just two floors below his location on the fourth floor of the E Ring of the Pentagon on the morning of September 11, 2001.